« KISS ME I’M 1/16 UZBECKISTANIAN! no offense to the original dsc chandy, but i like yours better!!! BEEutiful!!!! I love the colors it produces! GREAT JOB, Peaches!!! Did you see that insane “Mardi Bra” on Etsy? I love the abandon with which you create things Peaches. The light this gives off must make you so happy! Fun fun!!! Huzzah, this is so wonderful! Much like a small child, I cannot get enough of bright colors and this project is right up my ally. Thanks for sharing! I like your version a lot! 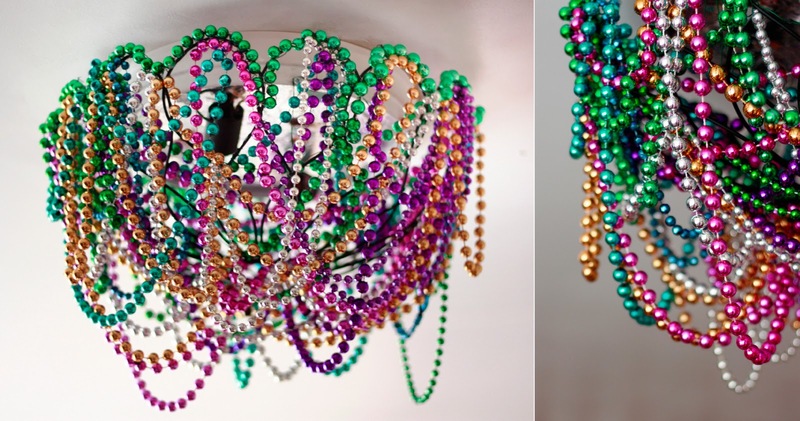 Love the colorful beads, and you’re right, the starburst on the ceiling is quite an added bonus! love that! 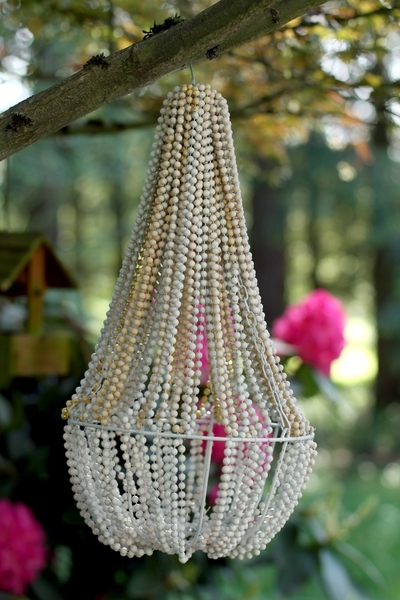 i’ve been brainstorming ideas for a chandelier for our patio, and this might be it! Love the chandy and love the method, which is madness…beautiful and crazy and glam, like you! I like… especially the special effects!! This is so completely NOT my style and yet … I LOVE IT! It makes we want to laugh and dance! What a joy! I’m loving this! It never would have occurred to me, but it’s GREAT! 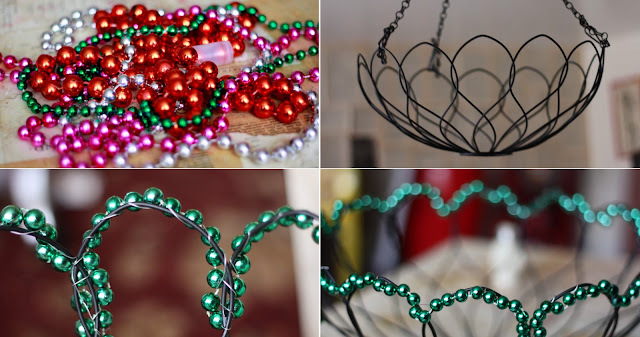 So, any issues with beads melting or anything? 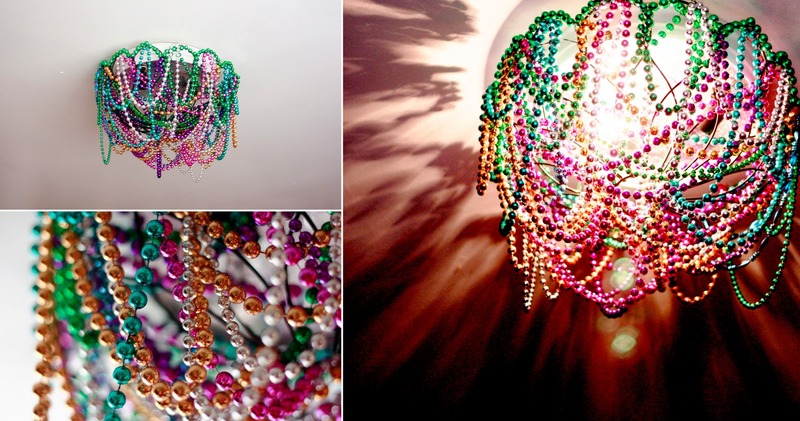 I’m dying to do this with the ceiling fixture in my kid’s bedroom. She will LOVE it! Lovely idea. How did you install it? I used wire to attach the basket to three screw holes in the original fixture. How did you install this? ?